We celebrate Halloween in this house. We spend evenings watching The Munsters, we make pancakes in the shapes of haunted houses and bats. We hang skeletons on the front door in place of wreaths. Oh yes, we look forward to the month of October every year. When Cutting Edge Stencils asked if I would be interested in creating a Halloween-themed craft using their stencils, I was happy to oblige. They have a new selection of Halloween stencils suitable for pillows or crafts, and I think it took me a week to choose a design. They are all so adorbale frightening. 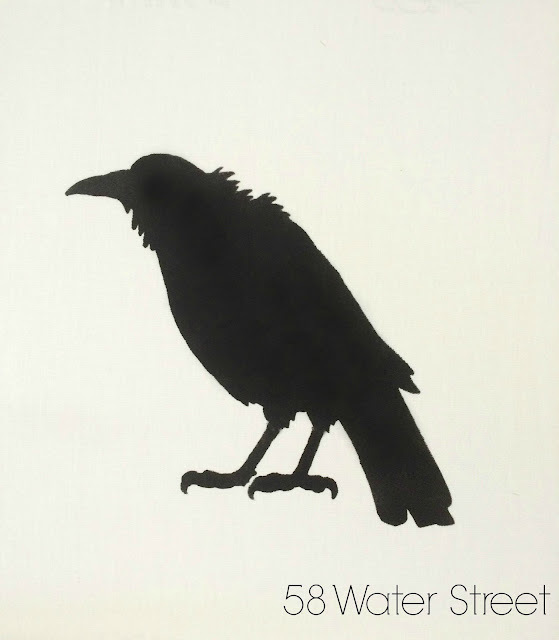 With the help of my kids, we chose the Crow, but I would have been happy with any number of stencils. The kit arrived, all ready to go, and included everything I needed to complete the pillow. 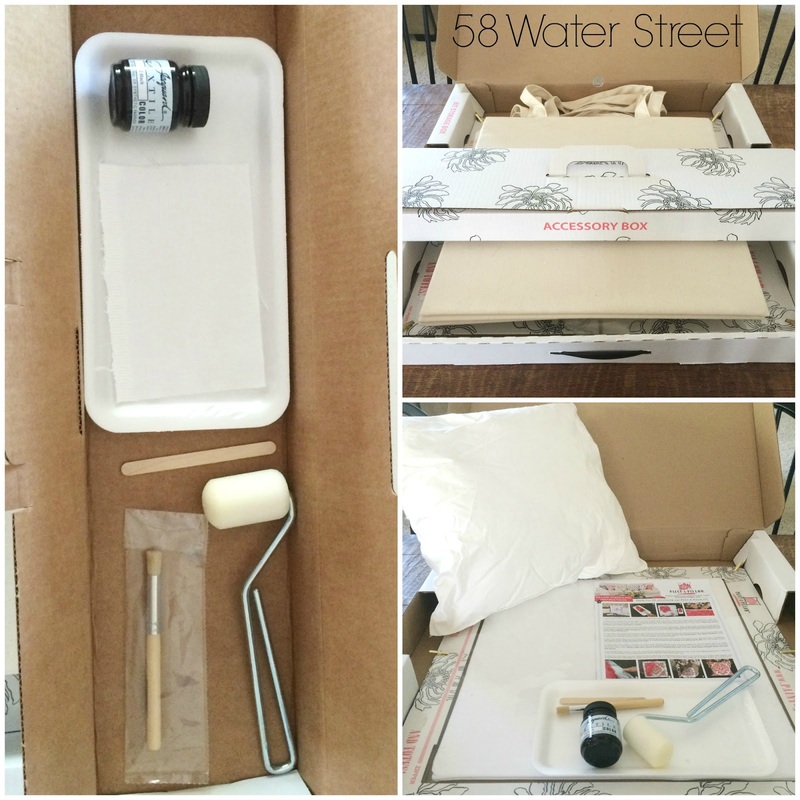 The pillow cover is set tightly in a frame, with the stencil on top, ready for paint. 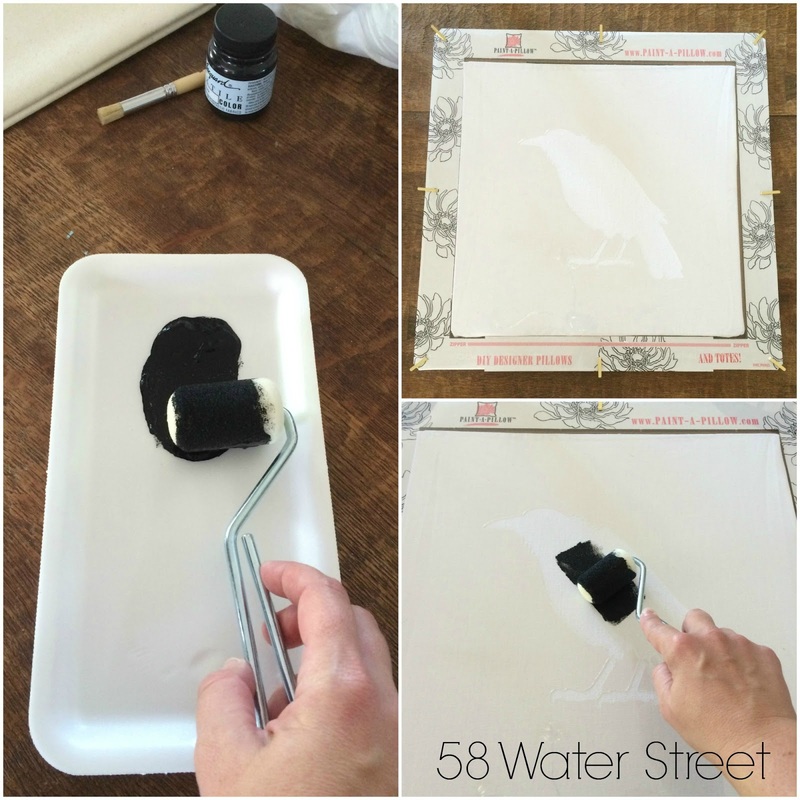 When I lifted the stencil I was afraid it was going to be a blurry mess of black paint on white canvas. But look at these crisp lines. I let the paint dry for about 30 minutes, then heat set the paint with an iron, per the instructions. I can't decide if I like it better in the living room or the basement. 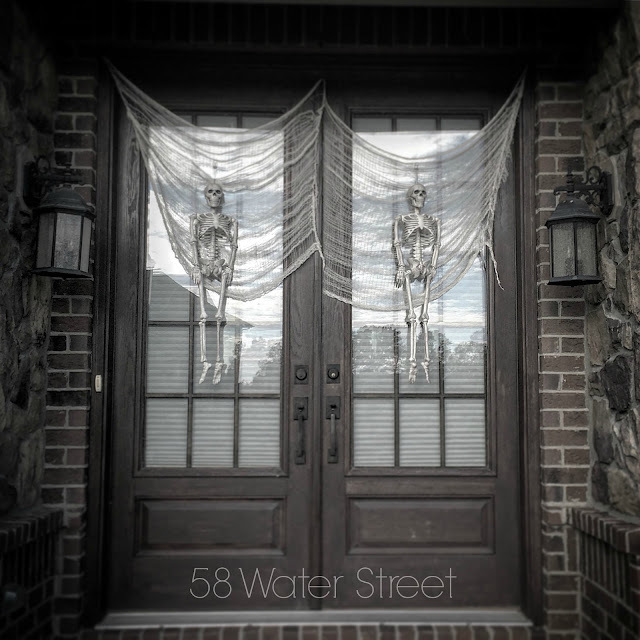 Would you like to create a Halloween project using one of these kits? Well you're in luck! Cutting Edge Stencils is giving away a stencil up to $50 value, with free shipping. We are big Halloween fans too. 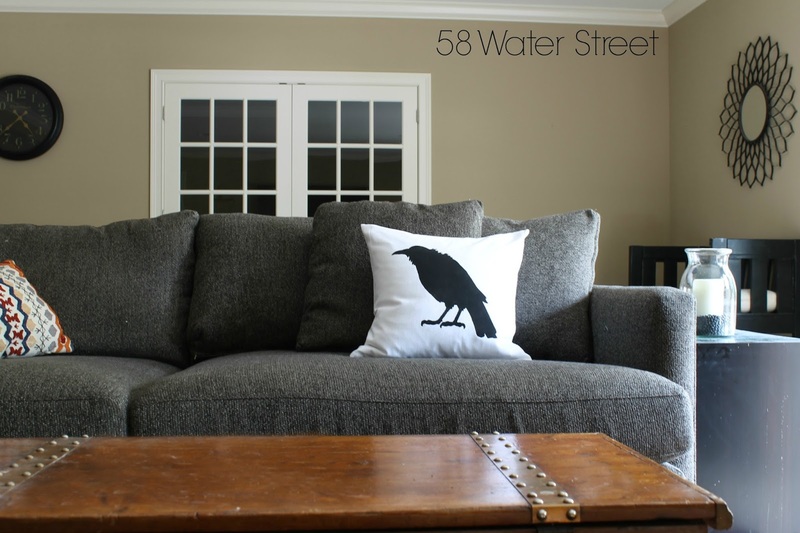 Love how the crow pillows turned out. We are definitely trying this. 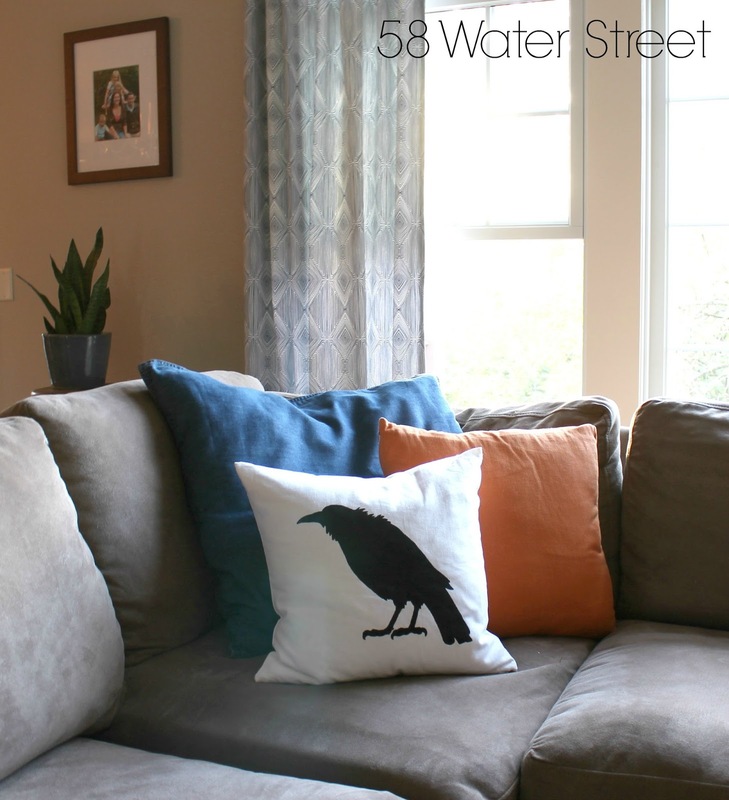 Your raven pillow turned out so cute! I'd really like to get the Seahorse stencil. I can think of so many uses for it. I love that they have holiday stencils now. Thanks so much for the chance to win. Wow! Their stencils are amazing! I would choose the Rooster steincil. Thank you for the wonderful giveaway. I think the Indian Inlay would make an awesome rug. The fish stencil is intriguing... don't know that I'm in to fish but I sure do love the movement it seems to have. Thanks for the opportunity - my fingers are crossed! I really like the SYCAMORE SPREADING BRANCH STENCIL. I really like the Pinecone Stencil...perfect for fall! There are so many choices, but I really like the Little Diamonds Allover stencil... Thanks for the chance to win!